The Haverland RCBL range sports an ultramodern design, stylish and benefiting heat circulation to evenly warm the whole conservatory. The lowered shape is perfect for low hanging windows, and the white finish offers a clean sophisticated aesthetic. The RCBL is comfort captured, utilising a special dynamic fluid with thermal inertia for uniform heat distribution. Keeping heating under control, the built in energy monitor is displayed on screen alongside temperature readings and targets. Installation is quick and easy, with supplied fitting template and wall-bracket fixings. The DIY plug in and go process remains maintenance-free with no PAT required. The built in energy monitor allows energy usage to be manually regulated, ideal for conservatories where wastage can quickly become excessive. The consumption indicator will help you keep onto of your heating solution, and its lithium battery ensures this information is never lost if the radiator is turned off. The Haverland RCBL offers fully customisable settings with a wide range in temperature available. The accurate electronic thermostat and latest materials ensures temperature precision within ±0.2C. The 24/7 timers allow the homeowner to completely customise their conservatory experience, tailoring the warmth of the room to their schedule. Limit energy wastage with 7 pre-set programmes, personalise your settings for your needs. Manually altering the settings is easily available through the onboard intuitive keypad; a keypad lock is available, ideal for landlords and childcare facilities. The Heater was delivered on time and quickly. Thank you very much for the fantastic service and efficient delivery review. Thank you very much for the excellent service review. Heater works extremely well, creates a cosy feel to the conservatory and has a modern appearance. Haverland are a quaity product, easy to install and operate. Delivery was swift and efficient, we were particularly impressed by how well packaged the item was, so often have received items which are chipped, dented or marked. The Heater Company is obviously keen to ensure products arrive safely for their customers. Product was exactly as described of high quality and suitable to heat a 4x4 metre Conservatory with ease. Would recommend this Company. Thank you very much for your really great review and recommendation. We pride ourselves on our customer service, and take extra care to ensure that goods are well packaged and not damaged in transit. All working well and good. I've moved my office into the conservatory which was the original idea. There's perfect and there's everything else! I had absolutely nothing to complain about! I got exactly what I ordered and the delivery was expected between 0910 and 1010 and the doorbell rang at 0910! 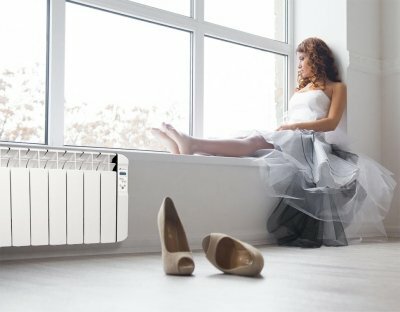 Installation was simple (I had experience with two similar radiators for my daughter purchased earlier this year). Thank you very much for taking the time to leave such a fantastic review of our service and free next day delivery. Sleek and good looking. Easy to use. Fast and efficient. Great price for Haverland 1500 conservatory heater. Thank you very much for your great review. If you need anything further please do not hesitate to contact us on 01473 276686.